Features: Bohemian style is so hot! 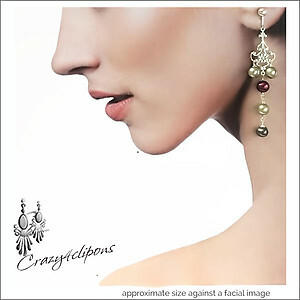 These earrings are a sure hit! 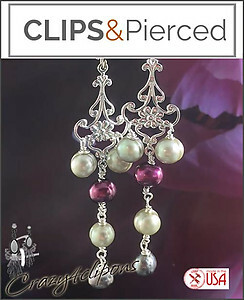 Filigree finding is silver over brass complimented with an array of colorful fresh-water pearls in peacock gray, sage green, magenta pink, they dangle gorgeously and look very balanced with ball clips. Available in silver or gold plated.